Google Cardboard is basically a virtual reality cardboard box. Google Cardboard was made with a sole aim of getting VR into the hands of everyone. There are now 14 different styled Google Cardboards available which you can see here. 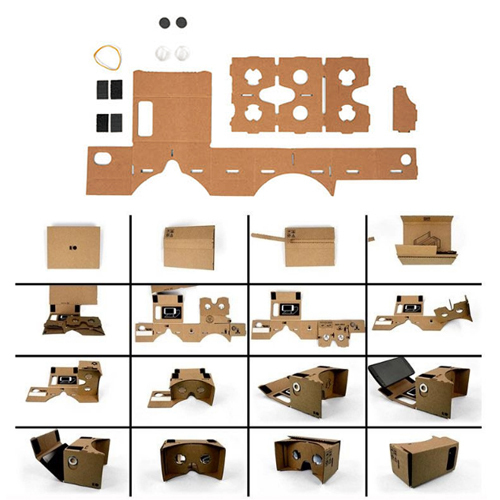 The best thing about the Google Cardboard is that it’s affordable and made of common household products or products that are easily available in the market. You can buy one for less than $20 and there are more than 100’s of apps supported and built for Google cardboard which you can install from PlayStore. 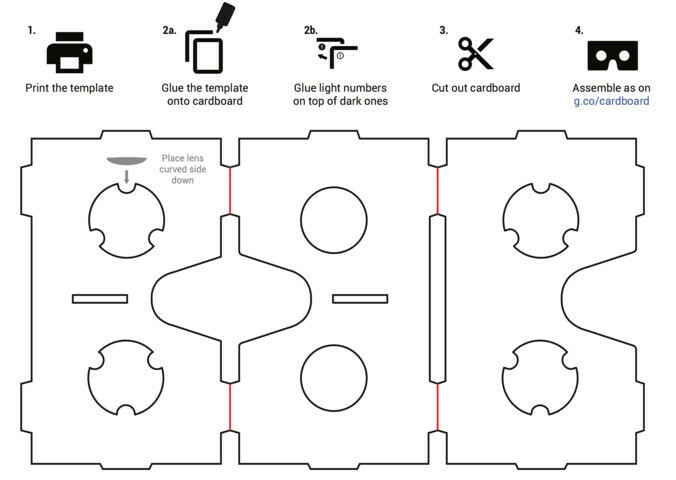 But making your own DIY VR Headset ‘aka’ Google cardboard is much easier than you thought it was and below are the instructions of making one. 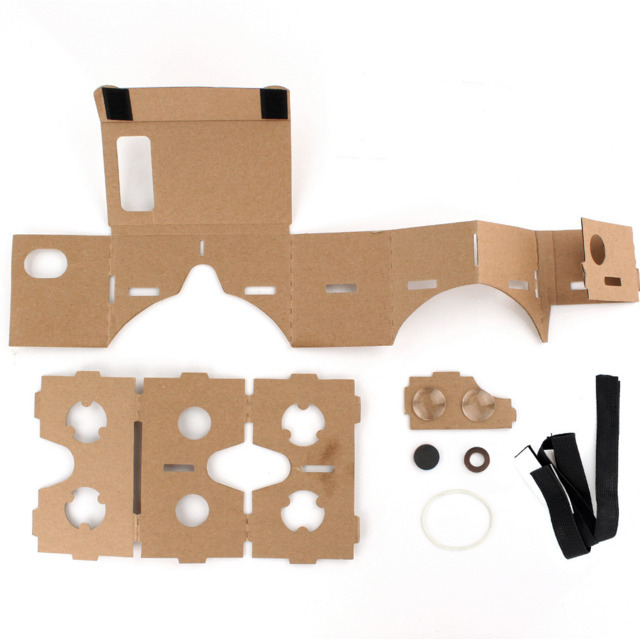 Google provides a printable template and building materials for making your own VR headset at home. Two Biconvex Lenses (45mm approx. focal lenght). First download the manufacturing kit from google and extract the zip file in a folder. Open the Template and print it. Use scissors and scale to strip away the extra paper from the template and use glue to connect the pieces of the main body template together over one another using the numbers. There are total three templates : Body, Lense holder and Lens Divider. Next paste the template on the cardboard using glue or adhesive and let it settle for few minutes. Now comes the hard part i.e. cutting the cardboard’s every little gap with the exacto knife. It will take arount 30-45 minutes to cut down as smaller cuts will need more focus. Now insert the two lenses into the eyeholes (pay attention to their orientation). See the template for info. Fold the upper and lower part which protects the lenses from falling down. Tip: Use Steel Scale which will help you to make sharp and straight folds. Place the Magnets on their spots by using superglue and start folding. Insert the Lens holder with a divider and grab the cardboard frame around it. Use glue to paste the folds together. At last add Velcro at the top of the flap which will be used to insert your phone inside the VR headset. 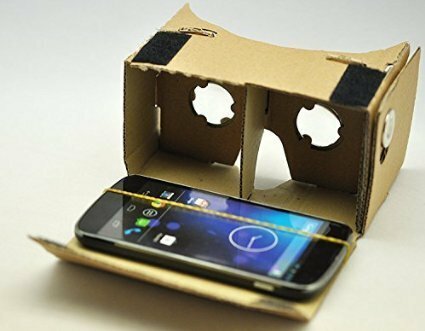 Your VR headset is now ready and now you can start using it by downloading the Cardboard app from Google Play. Please note that this is not compatible with larger phones i.e. more than 5 inches. Wasn’t it so easy to make it. I hope that you have successfully made your own DIY Virtual Reality Headset or Google Cardboard with ease. Tell us how you feel and was this guide helpful via comments down below. Also, don’t forget to subscribe us for more such Guides, Tech Updates and much more. Enter your email below and SUBSCRIBE NOW!! Thanks 🙂 & Have a Great day! !